I spent this weekend in Fife, braced for a cool and wet blast of weather as per the forecast. 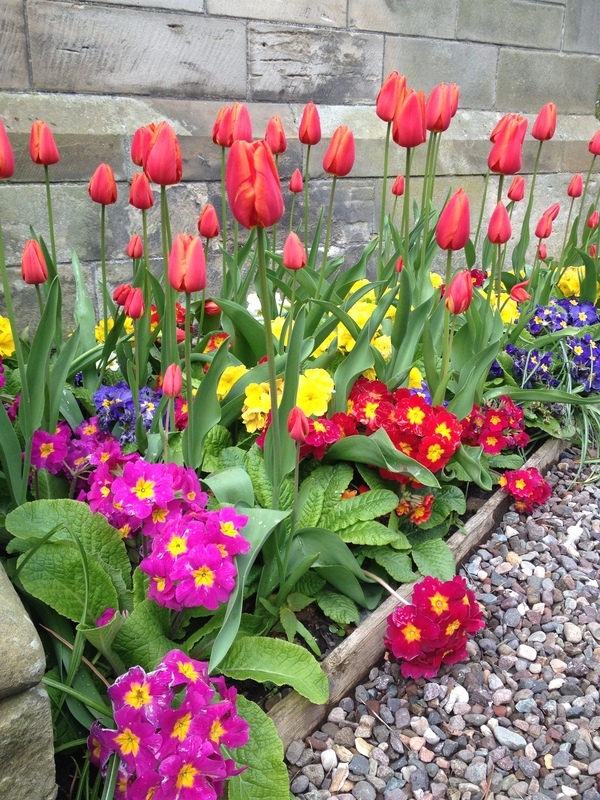 We went for a trip to St Andrews to visit the museum and took a walk through the University grounds where there were colourful tulips and primulas in abundance. Contrary to expectations, the sun burnt through the clouds and it turned out to be a glorious day. 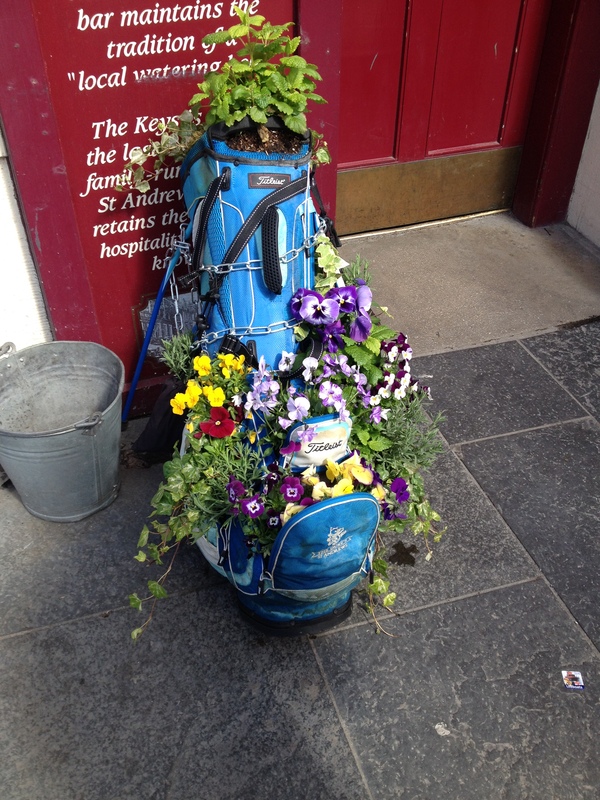 As we walked around the town centre, I was positively charmed by this golf bag outside one of the pubs – the flowers seemed pretty happy to be there, which maybe just goes to show that the sky’s the limit when it comes to choosing containers to grow in. The afternoon trip was the real highlight – we went for a visit to Cambo Estate, which is a country house just 10minutes drive outside St Andrews. It’s famous for its annual snowdrop festival in February/March where the grounds boast more than 350 different varieties. It’s been years since I last visited but it was every bit as magical as I remembered it to be – and there was even a few snopdrops still to see. 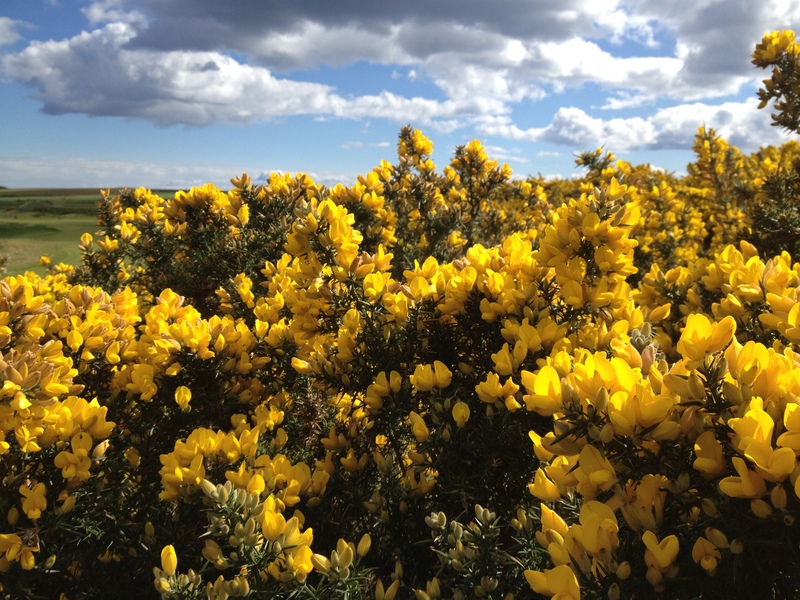 We went for a walk through the woodlands and at the end we found a huge display of gorse, smelling sweetly of coconut. 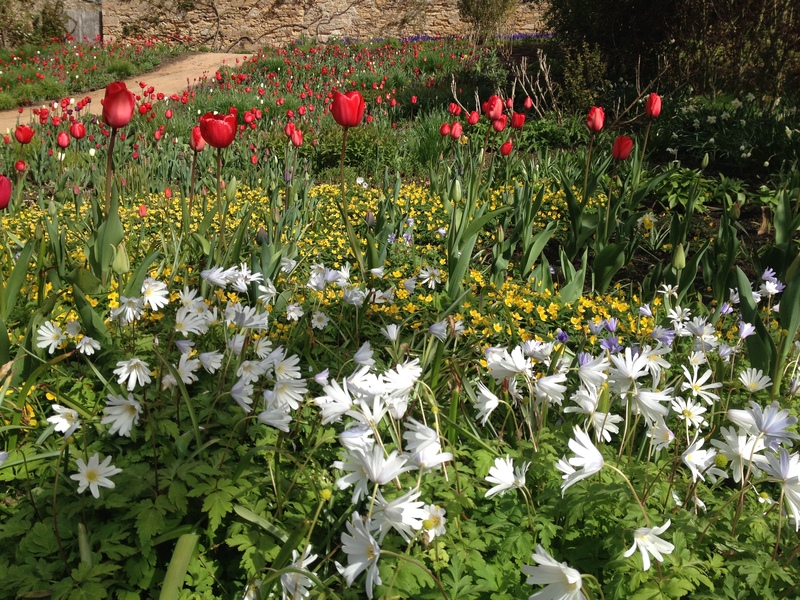 On the way back we wandered into the beautiful walled garden where there was yet more wonderful tulips, the start of a vegetable crop of broad beans and a huge big blossom tree – colourful, enchanting and full of life. If you’re ever in the region I’d firmly recommend a visit. They have accommodation, a wonderful cafe and also do a variety of RHS courses and classes throughout the year which are well worth checking out. 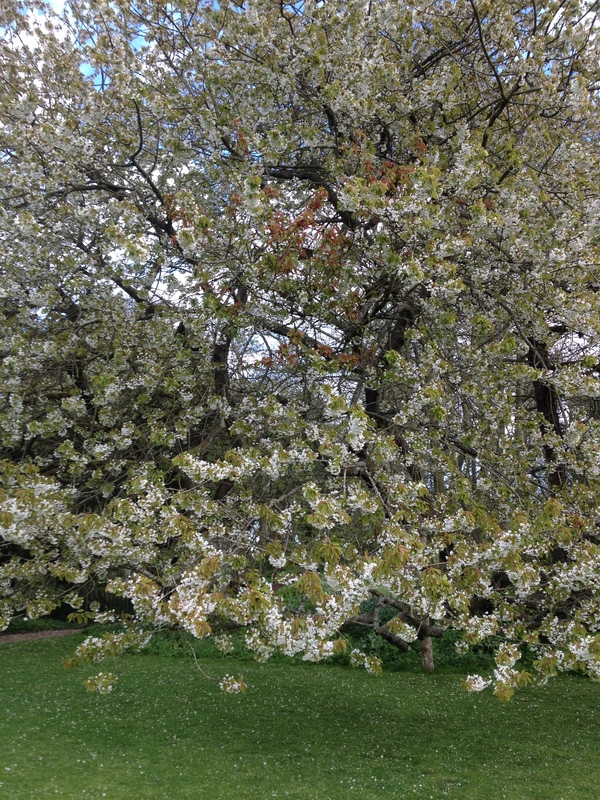 I feel thoroughly nurtured and happy that spring is here at last.